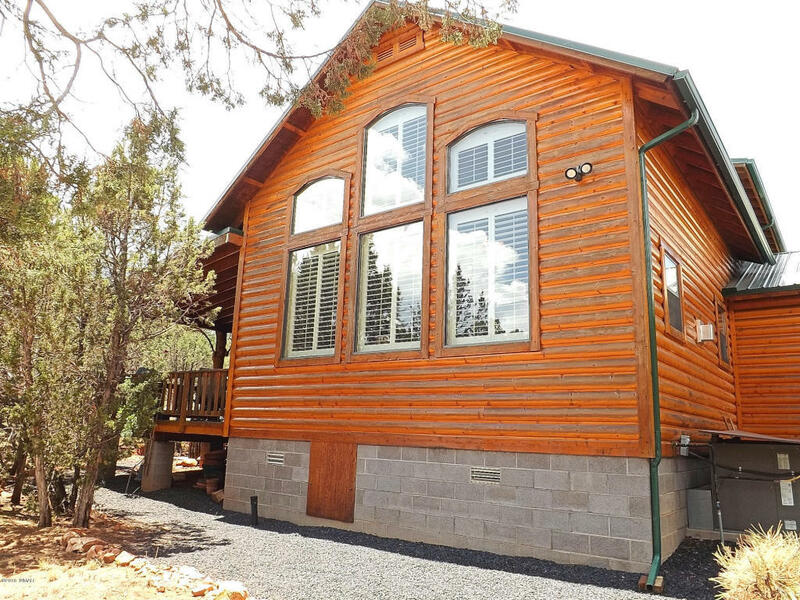 Amazing split log sided 3 BR/2.75 BA cabin on a nicely treed and beautifully landscaped 1.06 acre homesite. This home offers a large great room with a wall of windows and a stone faced fireplace, a chef's kitchen with Jenn-Air Stainless Steel appliances, hickory cabinetry and silestone counter-tops, large laundry room with sink, plantation shutters throughout and central heat and air conditioning. Equally impressive, the exterior boasts split log siding, metal roof, a oversize 2 car detached garage with a workshop, and expertly landscaped with flagstone and river rock.